That line "Top of the heap" from the classic song New York, New York probably isn't referring to its construction projects. But then again, why not? After all, the Big Apple generally leads the rest of the nation in the largest number of urban construction projects. It was knocked out of the number one position in 2014 by upstart Houston, Texas. Still, The City That Never Sleeps wasn't exactly napping when it came to new construction. Part of the reason for NYC's ongoing construction boom is due sadly, to tragedy. Though "Super Storm Sandy" is long come and gone, many New Yorkers are still rebuilding their homes and businesses. The city's Build It Back program struggled with red tape for awhile, but the city's mayor has gotten it back on course, and repair and rebuilding work on at least one thousand homes and businesses has gotten underway. The pace is expected to accelerate next year if Federal matching funds become available. The city set records this year with new office construction. Beginning in 2013,NYC saw the most increased new office space in any three year period since 1990. 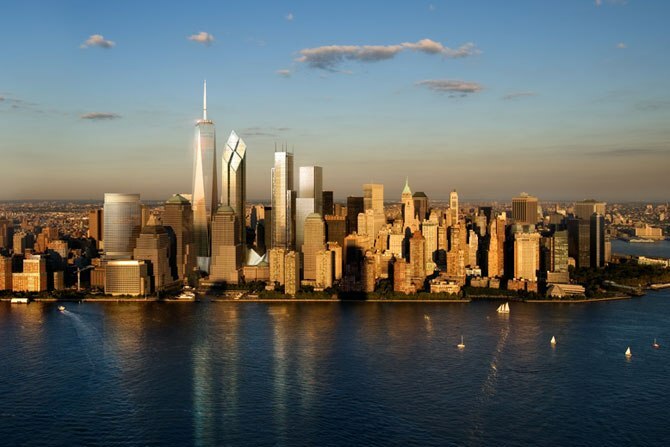 Approximately 9,000,000 square feet of office area was erected, (some of these projects won't be completed until 2015) due primarily to new towers at One World Trade Center, Hudson Yards, and 1 Manhattan West. But as impressive as this expansion is, it's not what most experts credit this city's ongoing building boom with. Instead, they say, academia needs to be credited for all the new construction in New York City. NYC has more institutions of higher learning and students than any other city in America. A number of colleges have projects underway. Pace University, New York University, and Columbia University have all either acquired land and approval, or have ongoing construction projects to accommodate growing campuses and student populations. The largest college construction project is Cornell Tech, a brand new institution on Roosevelt Island. The 2,000,000 square foot campus will occupy a sizable portion of the island and will accommodate up to 2,000 graduate students, working on degrees in business, science, and technology. The state of the art facility hopes to be self sufficient in terms of energy use, with roof solar panels and geothermal wells being part of the design. Completion of this facility is anticipated in 2017. And given that NYC's Mayor de Blasio has been deemed by the Wall Street Journal to be "New York City's most pro-development mayor in decades", New York City construction workers can expect to stay busy for years to come.